NASA has once again received a strong bipartisan vote of confidence from President Donald J. Trump and Congress with the approval of our $21.5 billion budget for Fiscal Year 2019, which is $763.9 million above the FY 2018 enacted level. It’s a win for our space program and the American people. All of our directorates received healthy topline funding at or exceeding the original budget request, and our work to move forward to the Moon and beyond remains on firm footing. We’re looking forward to giving Congress more details about our plans, and are confident that the taxpayer investment to explore deep space will reap large and ongoing dividends. This budgetary support ensures progress on our bold plans to once again launch American astronauts to the International Space Station in American-made rockets from American soil on commercial spacecraft. We’re also marking milestones as we build the Space Launch System rocket and Orion spacecraft to take astronauts deeper into space than we have ever gone before. These big ideas demand long term commitment. And this budget fully supports them. The dedicated NASA workforce has been demonstrating that these things can be done, and is making progress and reaching milestones across the spectrum of our work. This year we plan to contract for the first work on our Gateway, a new orbiting home for astronauts at the Moon, and the budget supports our work on this next step in our plans to extend human presence around the Moon. We are working to procure a commercially provided lunar lander with tech demonstrations and science payloads this year. The Commercial Lunar Payload Services (CLPS) contractors will drive the schedule for the first delivery to the lunar surface. Industry is also helping us refine and advance our plans for landers to return humans to the lunar surface by 2028. Thanks to bipartisan support, NASA has funding to develop cutting edge technologies focused on deep space exploration such as new propulsion technologies, and extraordinary science that continues to impact the lives of everyone on the planet through our Earth observations that improve weather forecasting and disaster preparedness and improve agriculture. This budget is also helping us target big science goals such as the launch of the James Webb Space Telescope. Our aeronautics engineers are working on transformative technologies to advance hypersonic travel, reducing that familiar boom and making flights faster, as well as improving travel for the average American and making airplanes safer and flights more reliable. 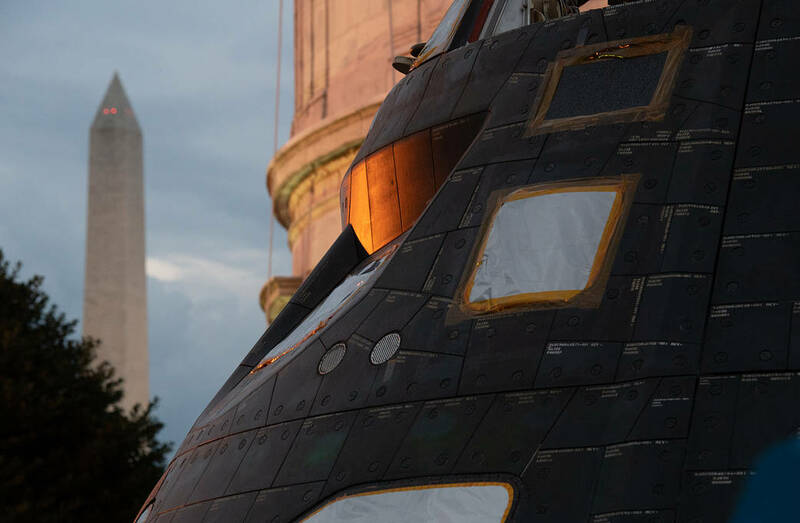 These are some the countless breakthroughs made by NASA scientists and engineers that are improving the quality of life for every day Americans – benefits whose value increases exponentially. It’s clear that NASA at 60 continues to lead the world in creating the future, and we look forward to implementing this strong budget.